This book examines the life, times, and legacy of Getulio Vargas, Brazil's dictator and president during most of the period from 1930 to 1954. Levine's chief concern is how Vargas' legacy influenced Brazil, and to what extent his social legislation affected people's lives. 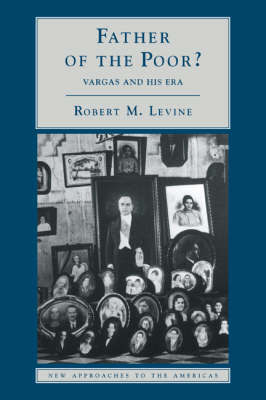 Vargas ignored individual rights, working for state-regulated citizenship without disharmony, without the right to dissent. His revolution was partial; one in which new constituencies and rules were grafted onto traditional political practices. Vargas devoted as much effort to manipulating workers as he did to benefiting them. By the end of his long tenure in power, some things had hardly changed at all: the readiness of the armed forces to intervene; the elite's tenacious hold on privilege; and the historical predominance of the Center-South. Brazil's distribution of income remained among the least equable in the world, but Vargas did not perceive this as a problem that needed to be solved. That Vargas promised much and delivered little did not diminish the adulation that Brazilians held for him. Ordinary people would shrug and say 'O presidente sempre lembrou da gente' ('The President always thought about us').